This collection of essays shows that the illiberalisation of a liberal education is a deeper tragedy in India than perhaps any other place in the world. From 2004 to 2009, Showtime ran a popular TV series called The L-Word. It showed the entwined lives of a group of chic artists, professionals, performers and sports personalities in the glitzy world of Greater Los Angeles, around West Hollywood. The key cast was all-women, all of them lesbians. The sexual adventurousness of their lives foregrounded the rationale behind the cryptic slang that made up the show’s title. That the radical sexual lives of lesbian women can be the subject of a hip show – perhaps even for the wrong commercial reasons – did not neutralise the axiom that the subject must be hidden under the coded slang that has invoked the taboo nature of that sexual identity for a couple of decades now. Even that feels far beyond the past today. The Liberal is boring no more but a dreaded anti-national. The terrifying L-Word that, like Harry Potter’s Voldemort, must not be named. The irony reaches full circle as you feel the excitement in the air – about the bewildering anachronism of the liberal arts that has, over the last decade, fired the imagination in the elite echelons of industry, corporate governance and philanthropic endeavours not only in India but across much of Asia. The curricular deployment of a liberal education to the crafting of that elusive animal – a well-rounded human being – has played a strategic game of hide and seek with the political meaning of the new L-Word. By invoking Cardinal Newman’s canonical treatise of the same title, the collection of essays edited by Apoorvanand, The Idea of a University, throws the two related meanings of the word “liberal” into an inevitable mutual entanglement. That this entanglement can happen only at the site of the university is a historical platitude. This volume makes it terrifyingly clear that such a platitude has been reincarnated in India today as a paradox. The emergence of the liberal as The L-Word in a university space would be traumatic anywhere in the world – as it indeed has started to become – but it is a more intense trauma in India. Andre Beteille has persuasively argued that the modern Indian university, built to provide clerks and bureaucrats for the British government, has continued on its colonial-bureaucratic track way past independence, hence evoking the epidemic fetish for examinations. 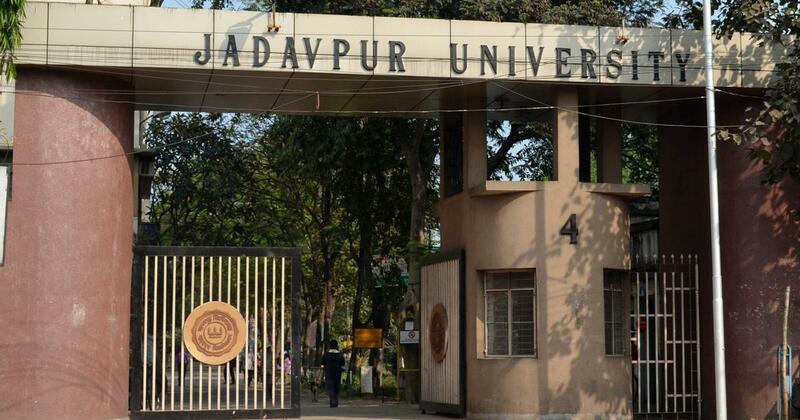 But howsoever crippled it might have been in terms of pedagogy or the production of original knowledge, the Indian university has had a wide positive impact on society on the whole. They were some of the earliest places where the vision of a modern, open and secular society was realised. In this they were far ahead of their ancient counterparts in Britain precisely because they did not carry the heavy baggage of rituals and hierarchies from a medieval past. What Beteille had argued about 19th century India holds true in the 21st century nation. Where else might such an unlikely couple have met but at the university? This makes the illiberalisation of a liberal education a deeper tragedy in India than perhaps any other place in the world. This illiberalisation is the subject of this collection, hence titled with deep historical irony. Strains of anger and outrage flow through the various essays, but at the end of it all one hears the melancholy music of pain and affliction. Is the political question also a disciplinary one? Shobhit Mahajan claims that “in the natural sciences, the nature of the subject is such that it is almost never controversial as far as the general public is concerned. The object of research is the natural world and apart from certain fields in the human sciences (evolution for instance), any conclusions about, say, the fundamental nature of matter would hardly provoke anyone.” How I wish at least that were true. The current American Vice President has been a long-time opponent of Darwinian evolution in the curricula because it flies in the face of Christian Creationism. One hears the advent of courses in Vedic science and technology at the IITs. The sciences are neither objective nor free. The essay by Mary John is a particularly precious one, outlining the long history of the university and its near synonymous entanglement with liberal education, which makes the current onslaughts of severance that much more tragic. Payel Chattopadhyay Mukherjee invokes the iconic figures of Newman, Humboldt and Rabindranath to provide a perspective that is moral and epistemological in equal measures, while Saumen Chattopadhyay attacks the neoliberal logic to which universities have fallen prey, something that threatens academic freedom in a wholly different way. Academic freedom, a value that grows scarcer by the minute in contemporary India, occupies many of the contributors. Shiv Vishwanathan’s examination of the philosophical meaning of freedom and dissent happily includes, as good philosophy should, the ethical and the political. Niraja Gopal Jayal provides a global context while outlining the longer history of constraints on academic freedom in India, while Ram Ramaswamy examines the administrative factors behind its operation as well as failure. Debaditya Bhattacharya takes a more empirical approach to the subject and tells some horror stories of violation, while Pankaj Chandra tries to examine why has academic freedom so difficult to realise in India, naming the centralised nature of Indian universities one of its key challenges. Nandini Sundar brings up the intriguing but essential issue of the relation between academic freedom and institutional autonomy and points out how the latter is already a delicate tightrope walk between conflicting demands. How liberal are university spaces in India? How illiberal have they grown of late? It is impossible to even frame this question without attending to the question of access, equity and diversity – some would say the two sets of questions are synonymous in this country. 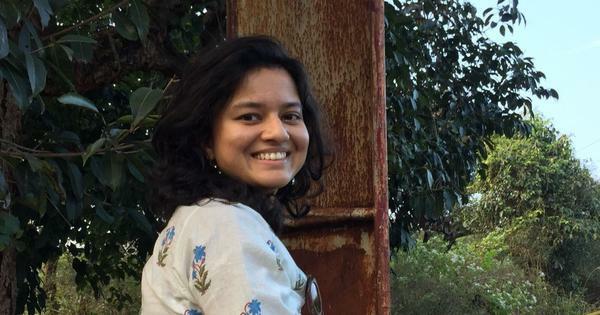 Mohammad Sajjad and J Devika’s essays bring grim news on these fronts, while Kalpana Kannabiran’s contribution brings up the issue – practically irresolvable now – of free speech within and beyond the environs of the university. Francesca Orsini and Quentin Thompson conclude the volume with international perspectives, including Orsini’s chilling evocation of academic unfreedom in Nazi Germany and Fascist Italy. While Newman remains invoked in the title of this volume and Wilhelm von Humboldt, the pioneer of the research university, makes significant appearances, it is Humboldt’s friend and mentor, Immanuel Kant, who lay out the blueprint of a legitimate conflict over knowledge and freedom in his treatise The Conflict of the Faculties. Whether Kant’s Philosophy Faculty – in latter parlance that of the liberal arts and sciences – was to be in conflict with that of theology, law or medicine, it would, for the most part, be a legitimate and productive conflict, between the professional and the liberal, “high” and “low” in the deceptive Kantian formulation. It would have its cluster of hard moments – say between true believers and the historians of religion, between the scientist and the surgeon, between the political philosopher and the lawyer – but it was all meant to be good, sparkly friction that would trigger off exciting and essential fires. The liberal, in the long run, is rich edifice for the professional, notwithstanding surface rivalry. The threat to academic freedom that this volume darkly chronicles is something far more catastrophic, where the Kantian or the Newmanian ideal of the liberal vanishes into a black hole of unfreedom that is in the last instance, damningly political. Now more than ever it is crucial to install critical university studies as a key component of university curricula at Indian universities. This volume takes a step in that direction that is courageous and depressing at the same time. But those are the times in which we live. 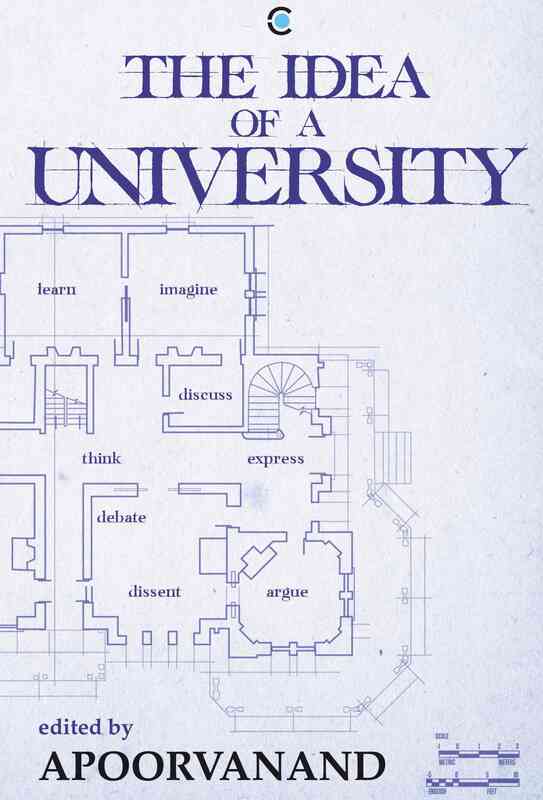 The Idea of a University, edited by Apoorvanand, Context. Saikat Majumdar, Professor of English & Creative Writing at Ashoka University, is the author, most recently, of College: Pathways of Possibility.